What is the economic impact of traffic? To most, traffic is little more than an inconvenience. It can, however, have a significant impact on cities and their economies. Congestion has an obvious negative impact – you only have to look at a city like Cairo to see that. 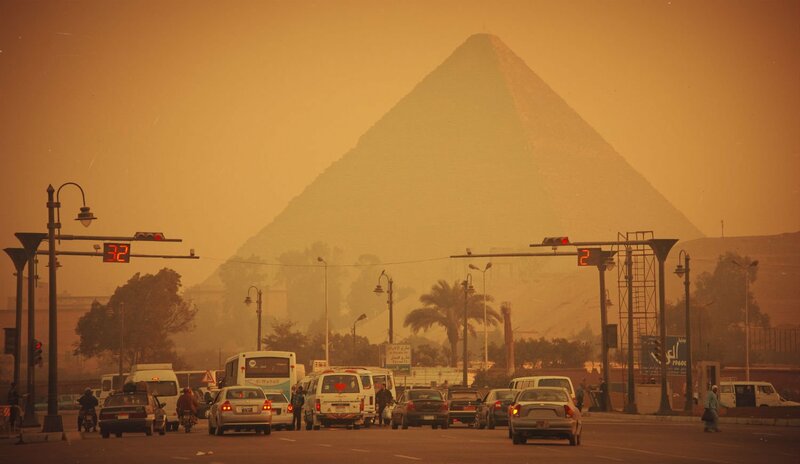 The Egyptian capital has 20 million people, two million cars, 23,600 miles of road and huge traffic problem. The congestion is so bad that many people socialise through open windows, trading insults, cigarettes and small talk. Traffic laws are ignored and drivers do as they please – with some pretty disastrous consequences. Ambulances get blocked, pedestrians are killed and there are lots of multi car pile-ups, especially on the city’s ring road, which was originally built to ease congestion but is now as manic as the city’s other routes. A World Bank study on Cairo’s traffic problem in 2010 revealed that the annual cost of traffic in the greater metropolitan area was about 50 billion Egyptian pounds – four percent of Egypt’s entire GDP. Compared to Jakarta, which is as densely populated as the Egyptian capital and famous for its traffic but only loses 0.6% of Indonesia’s GDP to traffic costs. It’s not the same story worldwide however – many American cities with the worst congestion also have the largest economies. If nothing else, a lot of traffic is a sign that a lot of people have jobs to get to. For example, during the US government shutdown of 2013, congestion in the Northern Virginia suburbs of Washington noticeably declined. 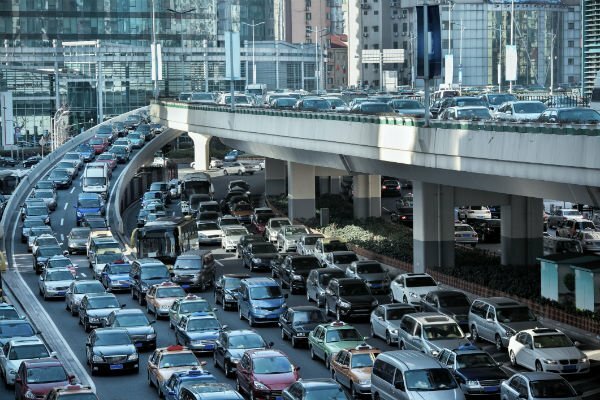 In a study of the economic effects of traffic, Matthias Sweet found that higher levels of congestion are initially associated with faster economic growth. But, above a certain threshold congestion starts to become a drag on growth. It seems that job growth slows when congestion gets to be worse than about 35 to 37 hours of delay per commuter per year (or about four and a half minutes per one way trip). Congestion is a bit like cholesterol – if you don’t have any you die. Sweet says that his estimates are “as close to casual as you can imagine”. So, for uncongested cities a bit more congestion might actually be beneficial to their economies. This is because sometimes the cost of alleviating congestion is higher than the cost of congestion itself. For example, a city that has little congestion would be wasting taxpayer money building new lanes of highway. Until it reaches Sweet’s tipping point it does not make sense to spend resources trying to fix it. As Sweet says, paving unnecessary highways does more harm than good to the economy. However, once you reach the point above the four and a half minute threshold, it starts to affect the quality of life of the people commuting. Workers having to spend longer getting to work every day are gong to want higher wages to compensate, or they’ll look for another job. And if congestion makes it harder to match the right workers to the best jobs, that’s economically inefficient too. The good news from Sweet’s study is that he found no level of congestion so high that it completely halted a region’s job growth. The other variables that he controlled for – other transportation infrastructure, demographics, even how efficient the local government was – matter too much. There would have to be significant issues on all of those fronts to really stall economic growth – Sweet uses Detroit as an example of this.